That’s the gist of a federal study released earlier this month. The study, which included scientists from Environment and Climate Change Canada, concluded that human-induced climate change greatly affected the 2017 wildfire season in British Columbia. The study was published in Earth’s Future, a journal which looks at the state of the planet. The study found human influences played a key role in the province’s wildfire season in 2017. That year about 65,000 people throughout the province were displaced from their homes because of the severe forest fire season. Millions of others had their health compromised because of harmful smoke in the air. And a record of 1.2 million hectares was burned that year, a record that unfortunately was surpassed last year. The federal study found the area burned in 2017 was between 7-11 times larger because of human influences on the climate. Besides personnel from Environment and Climate Change Canada, research scientists from the Pacific Climate Impacts Consortium at the University of Victoria also worked on the study. The researchers used climate simulations to compare two different scenarios. They simulated what the fires would have been like with minimal human influence. And they also conducted tests on what would happen with realistic amounts of human influence on the climate. The research found the extreme summer temperatures in 2017 were more than 20 times more likely caused by human-induced climate change. The study also concluded that barring further action, extreme forest fires will get even worse in the future due to human influences on climate change. Rose-Ann Michael, the elected chief of the Ehattesaht First Nation, knows all too well about the effects of wildfires. She owns one of 12 homes on the First Nation that is still under an evacuation order, five months after a fire last August. Officials fear a mountainside could give way because water applied to fight a fire this past year caused a destabilization in its slope. For three months after she was told to leave her home Michael lived in an RV park. She returned to her home on Nov. 5. “Even though there is still an (evacuation) order, I moved back into my home,” she said. Michael agrees with the results of the study and believes things will only get worse in her province. “We’re going to have a lot more people in the same situation,” she said. Michael suggests one change could improve things. 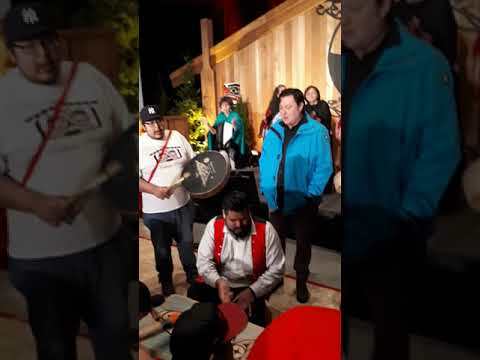 Though results from the study are not encouraging, Julie Colborne, the mayor of Zeballos, the village beside the Ehattesaht First Nation, is pleased it was done. Colborne hopes some action is taken. “With this study and all the data the province is collecting, I really hope something happens with BC Wildfire and they are able to fund things properly for the response that is required,” she said. Colborne didn’t need to be told climate change is having drastic effects. “I live it and I see it,” she said. Last year Colborne said she noticed upper branches of cedar trees were turning yellow and going dry in her village. Mike Atchison, the emergency program coordinator for Zeballos, is fully aware humans are to blame for the fact climate change is having detrimental effects on our society. Atchison believes people are not taking climate change seriously enough. Zeballos is in a rainforest and in the past the community typically received about 15 feet (five metres) of rain annually. Atchison added these are indeed unusual times. “I talk to elders from First Nations and they tell me they have never heard stories of anybody having wildfires in a rainforest,” said Atchison, a 61-year-old who was born in the village of Sayward and has lived on Vancouver Island his whole life. And the climate locally in the winter is further proof of changes that have occurred. Atchison believes elected officials are not prepared to handle the coming consequences. One of the problems is that those who tend to get hired these days to fight wildfires are not turning the job into a career, Atchison added. Atchison realizes far-reaching significant changes have to be made to counter climate change effects. “People locally [know] there’s not much they can do other than being vigilant about putting out their fires,” he said.